Omni Care Hospice is looking for individuals who want to give back. Whether you’re a family member of a loved one who went through hospice or someone who simply has a big heart, consider our volunteer hospice program. 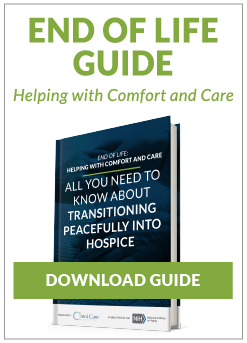 Patients and families going through hospice have a lot on their minds, which can be extremely stressful. You may find that you’ll receive as much or more than you give. One thing to keep in mind is that, as a hospice volunteer, you will see patients who are in the dying process and may be bed-ridden or experiencing difficulty performing tasks independently. Our volunteers sit and visit with our patients, read to them, and provide emotional support to them and their family members. Note: You will never transport the patient or act as a caregiver, but you may act as a sitter for the patient.